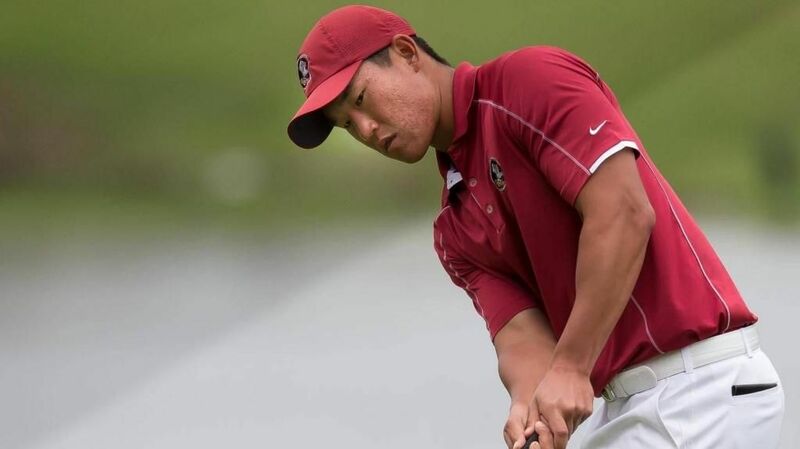 NEW LONDON, N.C. (Seminoles.com) – The seventh-ranked Florida State Men’s Golf team finished third in the ACC Championship held at Old North State Club in New London, N.C. The Seminoles shot 5-under for the tournament, joining conference champion Clemson (-25) and Wake Forest (-14) as the only ACC teams to shoot under par among the 12 competing institutions. FSU went even par on Sunday, finishing with a 288 and totaling a three-round score of 859 that was five strokes lower than fourth-place Georgia Tech (864 – Even). Senior Hank Lebioda finished tied for ninth among the individuals, shooting 3-under overall and adding an even-par 72 on Sunday. It is Lebioda’s fourth Top 10 finish of the year as he led the Seminoles with 11 birdies in the three-day tournament. Senior Rowin Caron tied for 16th with an even-par showing over the three rounds, shooting a 2-over 74 on Sunday. Caron joined Lebioda and teammate Cristobal Del Solar (Even) as one of 22 players who shot even par or lower in the field. Del Solar tied for FSU’s lowest round of the day with a 1-under 71. He recorded one birdie on the Par 5, 557-yard hole and registered pars on the other 17 holes played. Junior Josh Lee also shot a 71 which included two birdies on two par-5 holes. Freshman Corey Carlson rounded out the Seminole performance with a 74 and finished with a 2-over 218 overall. While Clemson and Wake Forest took first and second-place honors, Georgia Tech finished fourth, followed by Duke (+1), Louisville in sixth (+2), NC State (+5), North Carolina (+6) and Virginia (+6), Notre Dame (+19), Virginia Tech (+26) and Boston College (+37). Florida State will find out its regional site on Thursday, May 5, with the NCAA Golf Regional Selection Show airing on the Morning Drive on the Golf Channel at 9:30 a.m. ET.